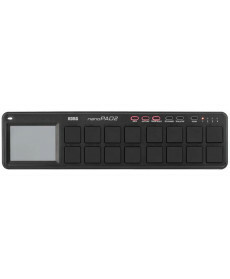 Controlador Midi Native Instruments Maschine MK3 Black. Cor: Black. The new MASCHINE takes our classic groovebox workflow and makes it faster and more intuitive. Optimized based on customer research, it’s packed with new features to boost your speed and increase your focus – all without breaking the workflow you love. 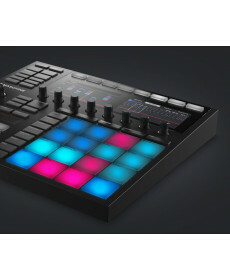 Controlador Midi Native Instruments Traktor Kontrol Z1. Cor: Black. 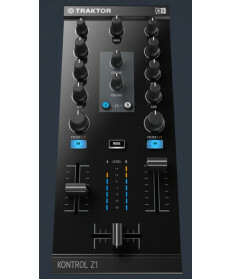 TRAKTOR KONTROL Z1 is the ultra-compact 2-channel mixer, controller, and soundcard for TRAKTOR DJ and TRAKTOR PRO 3. 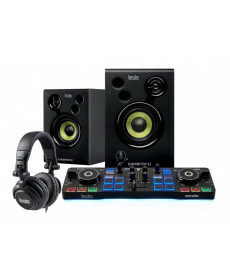 Kit DJ Hercules DJStarter Kit. Cor: Black. A comprehensive, easy-to-carry and easy-to-install solution including the Hercules DJControl Starlight controller, Hercules DJMonitor 32 speakers, HDP DJ M40.2 headphones and Serato DJ Lite. 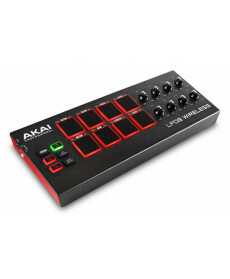 Controlador USB Midi Akai LPD8 Wireless. Cor: Black. In creating the LPD8 Wireless pad controller, we addressed the needs of mobile musicians everywhere by bringing Bluetooth MIDI functionality and battery-operated capability to a feature-rich pad controller weighing in at only one pound. 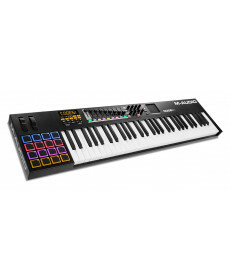 Controlador Midi Korg nanoKONTROL 2 Bk. Controladores: 8x Knobs; 8x Faders; 24x Botões; 1x Botão Marker; 1x Botão Cycle; 1x BotãoTrack. USB: 1x Entrada miniUSB. Cor: Black. Controlador USB Midi Akai LPD8. Controladores: 8x Pads (sensíveis à velocidade); 8x Knobs. Memória: 4 bancos. USB: 1x Ligação a Computador USB. Midi: 1x Entrada MiniUSB. Cor: Black. Measuring in at just 13 inches, LPD8 is a USB MIDI pad controller that's meant to escape the boundaries of your studio. It weighs less than a pound, will easily fit into a laptop case, backpack, or messenger bag, and gives you great-feeling pads and simple parameter controls so you can make music wherever you are. 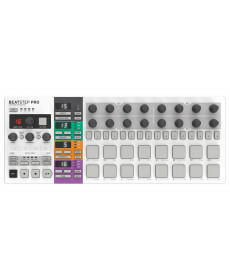 Controlador USB Midi Arturia Beatstep. Controladores: 8x Pads (sensíveis à velocidade); 8x Knobs. Memória: 4 bancos. USB: 1x Ligação a Computador USB. Midi: 1x Entrada MiniUSB. Cor: Black. 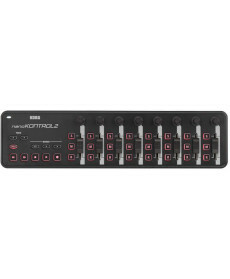 Controlador Midi USB com 16 pads sensíveis à pressão, 16 encoders e 16 programas para controlo MIDI. 16 programas sequenciação, clock interno e externo e compatível com iPad (utilizando o kite conexão camera - não incluído). Saída CV 1/8", Mini USB I/O, e MIDI-Out 1/8". Compatível com Windows 7/8 and Mac OSX 10.7 ou superior. 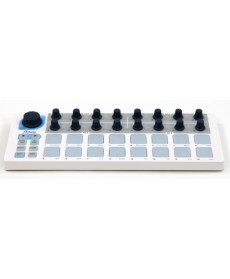 Controlador USB Midi Arturia Beatstep Pro. Controladores: 8x Pads (sensíveis à velocidade); 8x Knobs. Memória: 4 bancos. USB: 1x Ligação a Computador USB. Midi: 1x Entrada MiniUSB. Cor: Black. Controlador USB/Midi M-Audio Code 61. Controladores: 8x Pads (sensíveis à velocidade); 8x Knobs. Memória: 4 bancos. USB: 1x Ligação a Computador USB. Midi: 1x Entrada MiniUSB. Cor: Black.